I'm still not sold on the concept of Capcom's swords-and-mythical-enemies game Dragon's Dogma. But I also haven't quite dismissed it yet. In this latest collection of screens we get a look at the Cassardis' Golem, which has the ability to shoot a frickin' laser beam out of its one giant purple eye. OK, closer to being sold. 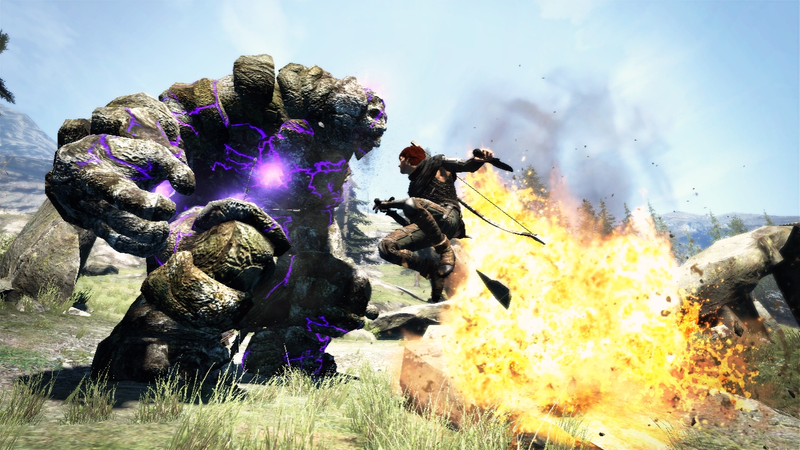 Developed by the folks behind Resident Evil 4 and Devil May Cry 4, Dragon's Dogma is an action game (No die rolls here) for the PS3 and Xbox 360.